The Radical Leap - Defines a new leadership model in which leaders operate fearlessly and are ready to take risks, make mistakes in front of employees, and receive ongoing feedback from colleagues, workers, and others. The Radical Edge - Encourages readers to renew their passion and excitement for life by embarking on a new journey of self-discovery, one that challenges individuals to find out what defines true success and how they can transform the world into a better place, one day at a time. Greater Than Yourself - Explains how to become a genuine leader, i.e. someone who goes above and beyond the call of duty to support colleagues, friends, employees, and teammates and can help others become more confident in their abilities to accomplish personal and professional goals. 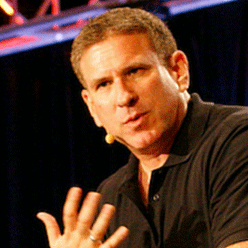 Steve Farber is a high-level executive leadership coach and world-renowned thought leader who has helped many individuals become Extreme Leaders within their respective organizations. He has delivered hundreds of motivational presentations to industry-leading organizations around the globe and is now available to do the same for your organization. Steve Farber has redefined leadership in personal yet practical terms, driving thousands of highly motivated individuals to make a difference in their businesses, lives, and the entire world. Now, you can learn what it takes to promote Extreme Leadership at all levels of your organization from Farber himself. Ultimately, Farber will teach members of your organization how they can transform the extraordinary into an everyday occurrence. He possesses the skills and know-how needed to deliver a clear, engaging leadership message that everyone can get behind. 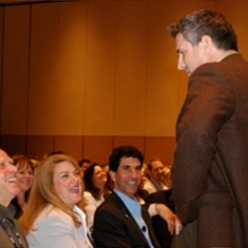 As such, Farber has received global praise for his motivational presentations and continues to find unique ways to connect with audiences big and small. Farber is an expert motivational speaker and encourages individuals to rethink their approach to leadership. He embraces the idea of Extreme Leadership and shares his thoughts and views with audience members to foster an open discussion of Extreme Leadership principles. This allows audience members to ask questions, receive pertinent leadership insights, and understand how they can become Extreme Leaders within any organization. It also can help your organization drive a culture of Extreme Leaders, one that enables all team members to become valuable contributors both now and in the future. 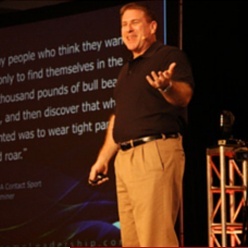 Steve Farber tailors each motivational presentation to his client's needs. He will devote the time and resources needed to learn about your organization, its goals, its employees, and much more. By doing so, he is able to deliver a client-specific motivational speech with a leadership message that all attendees will understand and embrace. Extreme Leadership highlights the dynamic combination of Fear and Love – two of the most powerful forces for humans. Together, Fear and Love can bring out the best – or worst – in individuals. And with the right motivation, an individual will understand how to use all of the Fear and Love at their disposal to drive positive outcomes. The ideal audience for this presentation consists of current, next-generation, and high-potential leaders at all levels of an organization. This means that all members of your organization – young and old, experienced and inexperienced, C-suite and entry-level – will be able to reap the benefits of Farber's Extreme Leadership insights throughout this presentation. Becoming Greater Than Yourself requires three steps: Expand Yourself, Give Yourself, and Replicate Yourself. With this approach, you'll be able to realize your full leadership potential and help colleagues, friends, teammates, and others do the same. Expand Yourself – Discover what you'll need to expand and enhance your personal capabilities to become a true leader, i.e. someone who leads by example and fosters leadership in others. Give Yourself – Find out how to "philanthropize" by identifying leadership potential in others and helping them maximize this potential. Replicate Yourself – Examine how to expand day-to-day goals into long-term aspirations to ensure your organization can drive long-lasting success. Do you have what it takes to become Greater Than Yourself? You and your entire team can find out thanks to this motivational presentation. Today's business world has led to the creation of numerous definitions of "leadership." In many cases, a "leader" is someone who acts as a boss and merely gives orders to employees without providing any inspiration whatsoever. On the other hand, there is an Extreme Leader, i.e. 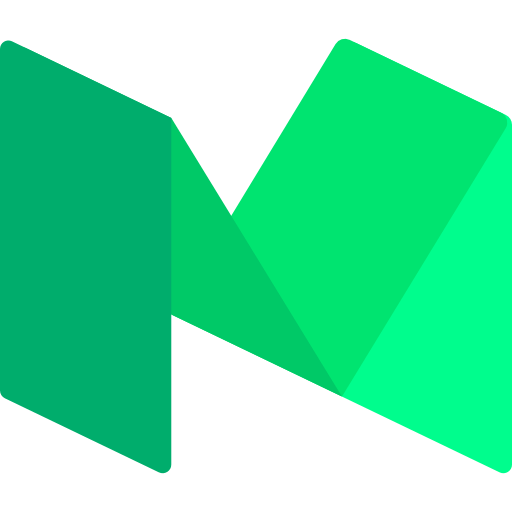 someone who doesn't care about the title on their business card and does whatever it takes to get the most out of everyone on their team – without exception. Radical Accountability is a foreign concept in most organizations. Then again, your organization wants to be different. And with this motivational presentation, you and your entire team can move one step closer to creating a culture of Extreme Leadership and Radical Accountability that delivers long-term results for all involved. As much as you might try to prepare for new business challenges, there is no script that you can use to handle every hurdle, every day. Now, Steve Farber practices what he preaches – literally – as part of a one-of-a-kind, inspiring Working Without a Net motivational presentation. In Farber's Working Without a Net motivational presentation, he provides the audience with complete control over the presentation material. That's right, complete control! What does that mean exactly? The discussion topics and themes will be in the hands of the audience. Although the idea of giving audience members complete control likely would scare many "professional speakers," Farber embraces audience participation and feedback. He will respond to attendees' leadership concerns and queries – none of which are scripted – and provide honest insights into what it takes to become an Extreme Leader who is capable of Working Without a Net. Farber will introduce himself, define Extreme Leadership, and present a few challenging ideas to the entire audience. The audience will separate into small groups, discuss leadership topics based on Farber's guidelines, and generate one important question per group about leadership. Farber will respond to each group's question and, when appropriate, facilitate a discussion with the entire audience. Farber and the audience will discuss Extreme Leadership principles in an open forum. Farber loves this presentation, and so will you. Give it a try, and you and your entire team are sure to learn new things Extreme Leadership – and yourselves. In today's always-on, always-connected business world, it often is easy for business leaders to lose sight of what's important. Comparatively, Steve Farber enlightens business leaders with an Extreme Leadership philosophy, one that emphasizes Love for oneself and others. 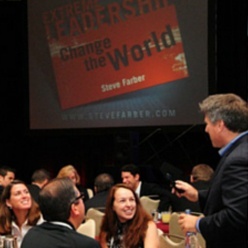 Globally Recognized Leadership Expert: Steve Farber is the president of Extreme Leadership Inc. and founder of The Extreme Leadership Institute. Bestselling Author: Steve Farber has written three leadership books that have received critical acclaim from The Wall Street Journal, Fast Company and other media outlets. Farber's books spread the message of Extreme Leadership and have helped many entrepreneurs, company executives, managers, and anyone holding any kind of leadership role – regardless of position or title – understand what it takes to lead and inspire others. An Extreme Leader with a Universal Message: Steve Farber is a senior-level leadership coach and consultant who has collaborated with public and private organizations in virtually every business arena. An Experienced Business Professional: Initially, Steve Farber ran his own financial services company before he shifted course and dedicated himself to leadership development. Since that time, he has held many prominent roles in a variety of organizations, including Director of Service Programs at international training consultancy TMI and Vice President and Official Mouthpiece (no joke, this is what was printed on Farber's business card) at Tom Peters Company. Farber established Extreme Leadership Inc. in 2000 and serves as the organization's President and CEO. He also is as a member of the Transformational Leadership Council and Vice Chairman of the Board of Directors of Up with People, a global leadership program designed to aid students between the ages of 18 and 29 years old. 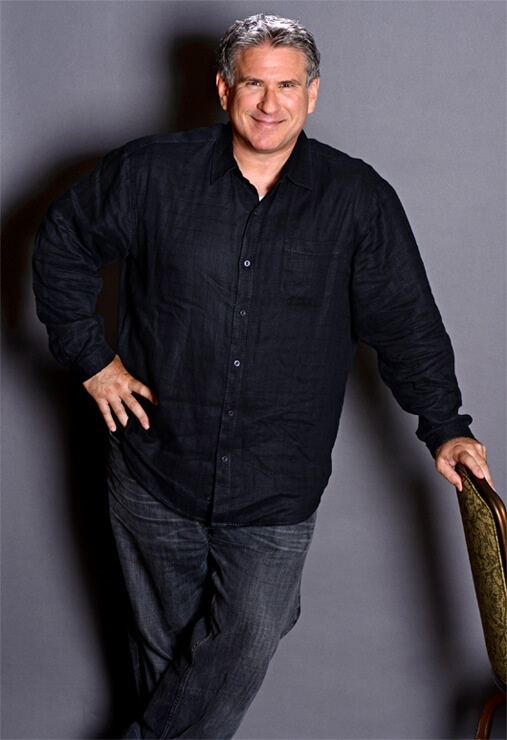 An Inspirational Life Coach: Coaching and inspiring Extreme Leadership at all organizational levels is Steve Farber's passion, and he does so with a style that is part strategist, part social commentator, and all Energy.